I’ve tried nearly twenty different sleep supplements over the past 18 months, but I’ve been missing one right under my nose this whole time. My local bodega (that’s a convenience store for you non New Yorkers 🙂 ) has been selling Dream Water next to the cash register for months, and I’ve failed to pay it much heed until last week (to be fair, it’s way overpriced at my corner store). I’ve had a lot of success with Food for Sleep in various uses recently, so I figured it’d be good to try another “sleep shot” to compare. While times may vary by individual, drink a bottle approximately 30 minutes prior to needing help with occasional sleeplessness or wanting to promote relaxation and support restful sleep. 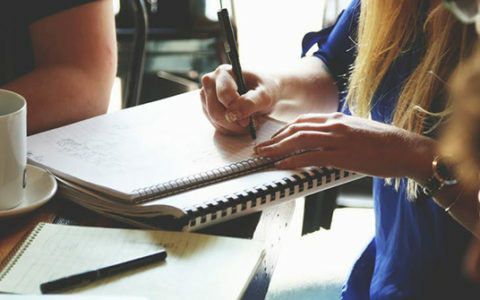 GABA (Gamma-aminobutryic Acid) — This neurotransmitter produced by our brain is directly related to both reducing “excitability” in the nervous system and muscle growth. It’s used in some other sleep supplements I’m hoping to try soon. 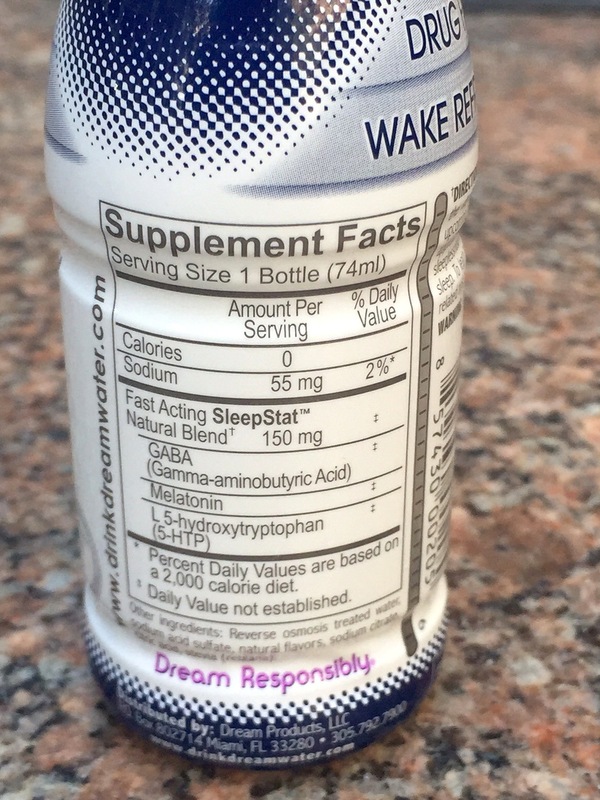 Melatonin — This is one of my favorite sleep enhancers. It helps me fall asleep faster and experience more restful sleep. I really like melatonin because its effects don’t diminish with repeated use (and studies back up my experience). 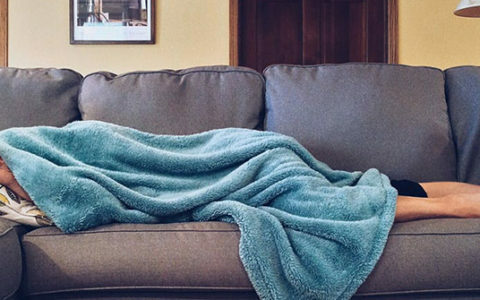 L 5-hydroxytryptophan (5-HTP) — A byproduct of tryptophan, this chemical helps increase the production of serotonin, and has been used to treat insomnia, mood-disorders, migraines and binge eating. In addition, Dream Water product contains reverse osmosis treated water, sodium acid sulfate, natural flavors, sodium citrate, citric acid, stevia. *As with any supplement, it’s a good idea to consult with your doctor before starting, especially if you are on any other medications. 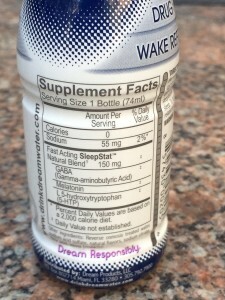 While Dream Water doesn’t list the amount of individual ingredients in its active blend, I definitely felt the melatonin, as I fell asleep very shortly after my head hit the pillow. Unlike some GABA supplements I’ve tried, I didn’t experience a particularly deep or vivid dream state on the nights I took Dream Water, but I did sleep peacefully for between 7 and 8.5 hours each time. Overall, it felt like a stronger shot than Food for Sleep, though probably not as flexible in its usages, as the I work up a little groggy when I took it and slept for under 8 hours. Dream Water is definitely more potent for me than Food for Sleep, one of my go-to sleep supplements (and another in the “shot” category). That makes it good for deep, long nights of rest, but I wouldn’t recommend taking it on a red-eye (even though its size is TSA-friendly) or when you might get under 7.5 or 8 hours of sleep. I also wish they’d list the amounts of the individual active ingredients in their proprietary blend, but excluding those is fairly standard for many supplement companies these days. When you need a fairly potent stack of three solid sleep-inducing ingredients, this is an option I’d highly recommend. Ready to buy Dream Water?